This product is designed for users who like outdoor aerial photography,Can protect your drone in the outdoors may encounter some trouble. Light and compact weight and volume (about 2KG), plus your drone about 5KG.Comfortable and effort . NOTE：Package includes a Case (with foam inner box) only, NOT INCLUDING the drone and other accessories. Multiple compartments to fit the Mavic Air, Transmitter, up to 3 Batteries (including the one in the drone), Extra propeller and Cables, Charger, Charging Hub. Durable, waterproof, compact, and lightweight.Specially is waterproof design, even in the rainy day or ground wet can protect your drone. 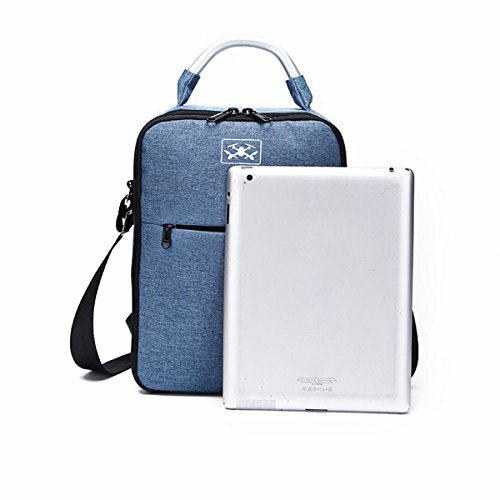 Portable & Durable:Ideal for travel with rugged exterior ,When you backpack it you will feel back without a sense of collision and the pure EVA liner provides good protection for the aircraft. The mavic air bag is the lightest in all mavic air bag,just only weight 352g,the packing weight just 400g.It's very suit for mavic air. If you have any questions about this product by STARTRC, contact us by completing and submitting the form below. If you are looking for a specif part number, please include it with your message.